Assessments | Learning Technologies, Inc. Assessments are one of the best tools for gathering information, measuring skills or results, and identifying important trends. As you equip people with accurate information and a greater sense of awareness, their ability to impact positive change dramatically improves. Feedback and perspective are absolutely critical for individuals, teams, and leaders to grow and develop. Several of our more commonly used assessments include the following. The Five Factor Inventory is one of the most valid and reliable means of assessing personality. The profile uses common words to describe specific traits that directly impact all aspects of our personal and professional lives. Understanding our own unique style, and the style of others is a critical skill for any team member or leader. Understanding the 5 factors or super traits: By examining the five dimensions of personality – Negative Emotionality, Extraversion, Openness, Agreeableness, and Conscientiousness, participants gain valuable insights regarding their ability to work with and lead others. Explore the 30 facets: The additional depth of the 30 facets enables individuals and the group to see the impact of style on specific interpersonal interactions and to explore how their unique style affects their overall effectiveness. Understand and appreciate the need for all types: Learn to make the most of your resources by utilizing the unique facets of your group. Explore how each style adds value, just in different ways. Convert your annoyances into assets. Leverage your style to drive positive progress: Explore how and when to use developmental and compensatory strategies to improve your performance and the performance of those around you. Communicate more effectively: Discover how to listen more effectively so that you can communicate in a more focused and impactful manner. For years, researchers have turned to the Myers-Briggs Type Indicator® to help participants understand differences and find new ways of working more effectively with each other. We look beyond individual personality types to focusing on understanding how different personalities can interact on teams. Emphasis is placed on communication, interpersonal interaction, conflict resolution, and problem-solving. Understanding Your Type : Your preferences influence how you process information, plan, make decisions, and interact with others. Communicating And Understanding Other Types: Learn how minor changes in your communication style can enhance overall understanding. The Need For All Types: Learn to capitalize on the differences within your group, for a stronger whole. We all add value, just in different ways. Understanding Others To Improve Conflict Resolution : Our primary emphasis is on understanding style differences, the basis of many conflicts. Awareness and understanding are a critical step in resolving these issues . Using Type To Improve Problem-Solving Abilities: Learn to leverage the strengths of your style as well as how to tap the strengths of others for better problem-solving capabilities. What Your Team’s Type Tells You: Look at the strengths and potential blind spots for your group. By examining your team profile you can explore how to utilize the diversity of your group to your advantage and build a stronger team. This well-recognized assessment is a great tool for teams to go beyond identifying their individual behavioral preferences and understand how different personalities interact. The group seeks to explore how their differences in behavior affect their interactions, both within the group and with clients. Emphasis is placed on communication, interpersonal interaction, conflict resolution, and problem-solving techniques. Analyze Individual Preferred Behavior Patterns: Using this nationally recognized assessment tool, participants examind their own behavior patterns. Improve Communication Effectiveness: Learn useful techniques to communicate effectively with any style. Improve Conflict Resolution Through Understanding Others: Many conflicts arise from a lack of understanding. By taking a different approach based on an analysis of style, you can head off potential conflicts. Develop Strategies For Working With Others: Recognize your own strengths and limitations, and learn how the strengths of others can be more effective in any given situation. Show Behavioral Versatility: Explore the best ways of handling different situations, maximizing both effectiveness and productivity. Learn How To Deal With Others More Effectively: Learn to identify someone else’s preferred style and then adapt appropriately for each situation. The Insights 360˚ is a powerful developmental tool to help leaders leverage their unique strengths and focus on developing potential weaknesses. The assessment measures 20 critical leadership traits that fall within 4 dimensions of business success. Each of these traits has been derived from current research on leadership effectiveness, organizational dynamics, industry trends, and challenges emerging from the global marketplace. The assessment compares each individual’s self-assessment to that of their direct reports, peers, and supervisor. As participants work through their results, they develop action plans that are specific, measureable, and timely. The result – faster, more relevant, and targeted leadership development! Self Mastery: Focusing on problem solving, decision-making, stress management, work ethic, and continuous development. Team Orientation: Focusing on communication, conflict management, accountability, cross-functional effectiveness, and team relations. Leadership: Focusing on modeling the way, creating a vision, building synergy, providing support, and managing change..
Business Acumen: Focusing on building alignment, driving results, developing knowledge, maintaining balance, and financial competence. The Change Style Indicator is a widely respected leadership assessment designed to measure how an individual approaches change. It provides valuable insights regarding your personal preferences and preferred style for working through the change process. It also helps you better understand how others may respond to change and how you can more effectively help them through the process. Understanding your communication style and the style of others is key to improving your ability to communicate effectively. The LTI Communication Style Inventory is a tool to help explore the strengths and potential weaknesses of each style, as well as how to approach each style most effectively. We also explore how each style makes decisions, handles tension, and even uses time. Through highly interactive small group activities and discussions, participants get real time feedback on ways to improve their communication. The Basics of Communication – The fundamental components of effective communication and what is necessary for shared understanding between two people. The Four Basic Communication Styles – Discover the fundamental components of the four basic communication styles, and assess your preferred style. Identify both the strengths and the potential weaknesses of each style. How To Work Effectively With Each Style – Once you understand the different styles, you can then work to identify how to best communicate with each style. Explore ways of adapting your style as needed to improve your overall communication with others. Working Through Challenging Communications With Other People – Practice your communication skills with other group members in actual problem-solving and consensus-building scenarios and hands-on activities. Strategies To Improve Effectiveness – Identify key strategies and tools for improving your everyday communication. The SSI (Supervisory Skills Inventory™) provides useful, well-researched tools that allow supervisors to meet problems directly, and find new ways to approach their work and the people they supervise. This instrument focuses on specific skills an effective supervisor needs. The feedback is put together in a matrix showing both a supervisor’s perceptions of relative strengths and areas for improvement, along with input from subordinates, superiors, and peers. This enables both seasoned and new supervisors to distance themselves from a situation, allowing them to better identify room for improvement. Once the need for change is identified, the growth process can begin. Participants evaluate and rate themselves in key areas of performance. They then also receive input from their subordinates, superiors, and peers. Specific suggestions for improvement and development are made, and participants can come up with their own specific action plans for change. Aimed specifically at enhancing overall team effectiveness, this confidential LTI survey looks at 8 critical aspects of teamwork. Results provide not only an overall view of the team, but also how much disparity there is within the team. Our process takes awareness, evaluation, exploration, adaptation, and planning into account to ensure that your focus is on the road ahead and not on the past. This is a powerful tool for finding areas of need, setting priorities, and evaluating progress through ROI. When administered both prior to and after a major training initiative, the comparative results demonstrate where improvements occurred and by how much. This is a critical step in not only evaluating training effectiveness, but also for planning what comes next. Review How You Work As A Group: Using a confidential survey we explore strong points and areas for improvement. The group then develops solutions with specific action plans for putting them in place. Focus On Utilizing Each Other As Resources: Through collaboration, the team accomplishes things that no one could do alone. They also begin to move to a true team concept. Use Interactive Problem-Solving Techniques To Reach Solutions: Facilitators help the group find techniques that allow everyone’s ideas to be heard. Develop Actionable Solutions: The group works together to develop solutions tailored for their unique situation, then find the best ways for putting those solutions into action. Practice New Skills For Increased Effectiveness: Through various exercises, participants practice the skills and strategies that have been discussed. This is a critical step in the actual implementation of their plans. Knowing more about ourselves and how others perceive us can enhance leadership and our own personal lives. The LSI provides a valuable look at your leadership style and at your specific strengths and weaknesses. This assessment can be taken as an individual or 360º feedback tool. Equipped with information about their management style, participants move through a process to create specific development plans focused on improving our effectiveness. The LSI examines 12 styles of thinking, behaving and interacting, finding patterns that help or hinder us in reaching our potential. Identifying Individual Strengths And Areas For Growth: By understanding our strengths and weaknesses we can become better leaders and improve our relationships with others. Pinpointing Specific Roadblocks To Success: By using a step-by-step self-development guide, you are able to evaluate which behaviors can help you reach your goals and which are holding you back. Balancing Determination And Consideration: The LSI examines how you balance different ideals – your focus on people versus the job, and satisfaction versus security issues. Maintaining this balance is key. Developing A “Prescription For Change” : Awareness provides tools needed to begin a personal growth process. Developing a plan for change lays out a path to reach your goals. 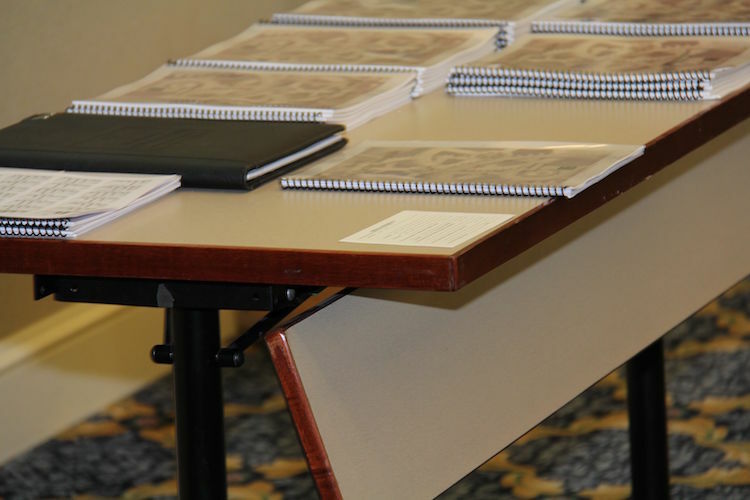 One of the most significant differences that sets LTI apart from other providers is our commitment to “Doing our homework.” In many situations, we will conduct a Pre-Program Survey with all participants to gather vital information during our design process. This is not only a data collection tool, but also an important training opportunity. The questions we ask and information contained within each survey serves to orient and challenge each participant prior to our program. By the time they arrive at our session, we have a better understanding of their needs and challenges, and they’ve had a chance to begin thinking about the topic at hand. Collect Important Design Data – Helping us better understand the unique needs and challenges faced by this group. Ensure Relevance – Allowing us to address the most common issues faced by the group using examples that are specific and relevant. Build Alignment – Communicating to the participants (through both context and questions) what will be addressed during the session. Help Participants Prepare – Asking the participants relevant questions so they can begin thinking in advance about comments, examples, and critical points. Reinforce Key Messages – Demonstrate through the content and questions that we understand and support your organization’s vision and values. Every LTI program focuses on action, or “What are you going to do different?” Especially from a team perspective, things will only change with reinforcement and feedback. One tool that we often use to support this message is a Team Scorecard. Based on the insights and commitments made by a group during their LTI program, we can design a scorecard to measure ongoing progress. This assessment can be distributed regularly as a simple paper-and-pencil format, or as an on-line survey. The important point is to keep commitments visible and to hold both individuals and the team accountable. This can be one of your most powerful tools to ensure maximum return on your training investment. Track Progress – Measuring concepts and commitments that might otherwise be overlooked, taken for granted, or discounted. Open Critical Conversations – Identifying issues that might otherwise be avoided. Ensure Alignment – Keeping commitments visible and holding each other accountable. Generate Open Communication – Providing a voice for all members of the team, especially those who might otherwise not speak up. Ensure Continuous Improvement – Identifying areas where the team is excelling and areas where improvements are required. Every LTI program includes a Level I program evaluation including a full summary report. In situations where measuring ROI is important, we can also conduct Level II, III, and IV evaluations. Each of these levels requires an additional assessment that will vary based on the type of program and expected outcomes. Depending on the situation, data collection may be based on surveys, interviews, focused groups, or performance data. This is an additional service that is best discussed prior to the delivery of the program to allow adequate planning time.